Hi everybody. 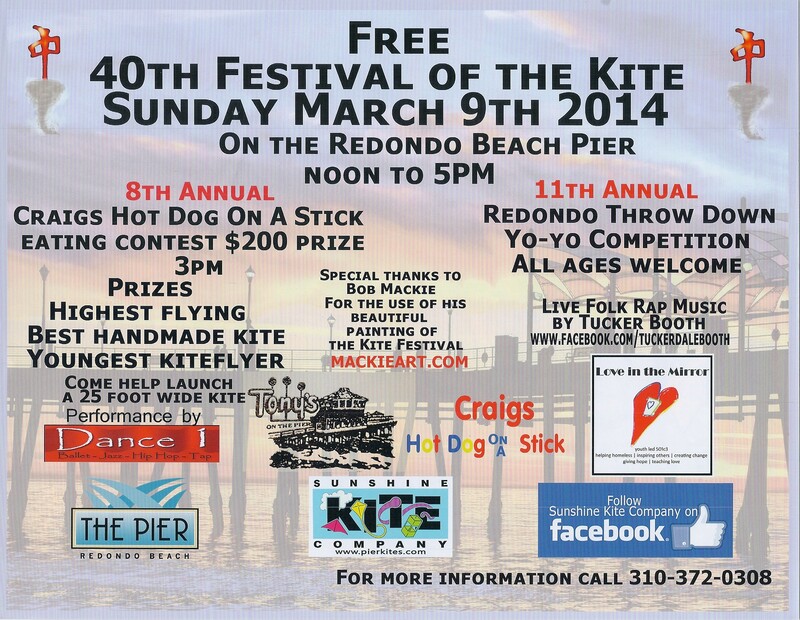 Come join us at the Redondo Beach Pier on March 9th, 2014 for the 40th Annual Festival of the Kite hosted by the Sunshine Kite Company. The event will once again start at 12 pm and last until 5 pm. There will be an eating contest as well as the annual yo yo contest which includes prizes. There will be live music as well so bring the whole family for a nice day at the beach full of activities!